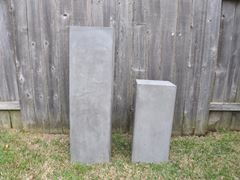 Get inspired with our industrial chic cement column pedestals! Use them for your ceremony or reception decor. It can hold floral arragements, crystal candelabras or other items.